She’s not just a pretty face. Lisa Eldridge is one of the world’s foremost make-up artists with a very large and loyal public following of her own. With over twenty years of experience of applying avant-garde make-up, Lisa is one of the most highly respected make-artists and her work is high in-demand. The celebrity beauty guru’s gleaming brush stroke work can be seen on the pages of glossy fashion magazines and gracing the cover of Vogue, Glamour and Elle, with clients including Kate Winslet, Katy Perry, and Kate Moss. Eldridge’s beauty inspiration cannot be concealed and you’ll also see her colour techniques appearing on fresh-face models of the catwalk scene. If you are like me a lover of make-up you will adore Lisa’s new beauty mark, Face Paint. 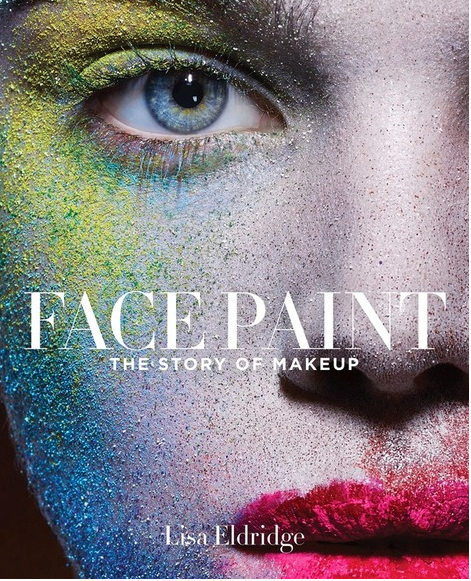 This book explores the reasons behind the use of make-up through the ages. An illustrated book, which details the history of cosmetics and make-up and how the industry has evolved alongside the change of female roles in society. Lisa Eldridge’s Face Paint will brighten your mood this autumn.